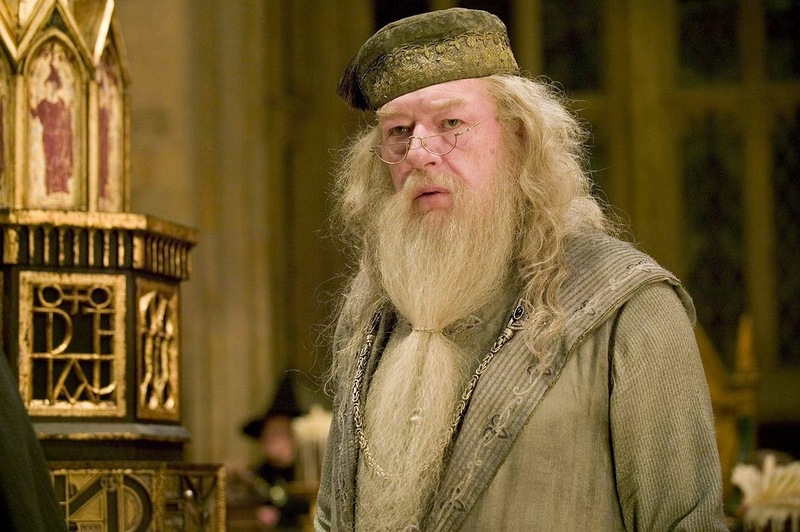 Hats and Rabbits: Why J.K. Rowling's Response to the Dumbledore Tweet Was Far from "Perfect"
Why J.K. Rowling's Response to the Dumbledore Tweet Was Far from "Perfect"
"I wonder why you said that Dumbledore is a gay because I can't see him in that way." "Maybe because gay people look like....people?" Perfect? I say it is highly flawed, both logically and in terms or plain-old courtesy. I'd like to illustrate my frustration by saying "I don't even know where to start," but I happen to know exactly where to start: the intentional fallacy. J.K. Rowling "announced," in 2007, that the head wizard, Dumbledore, in the Harry Potter books, is gay. The intentional fallacy, which is widely-accepted by modern literary scholars, and that I came to whole-heartedly accept during graduate school study of literature, would say that knowing what the author had in mind while writing is not the path to "correct" interpretation. In fact, anyone worth his or her salt in the literary world knows that the idea of "correct" interpretation is foolish; worse, it is directly counter to the inherent richness of literary study. So, in short, without real textual evidence of Dumbledore's sexuality, that sexuality is, at best, a non-entity, no matter what the author might say, even if she does say, as Rowling did, once: “He is my character. He is what he is and I have the right to say what I say about him." For the record, she does have the right -- it's just not grounds for interpretation. Then, we come to Rowling's "perfect" response to that poor reader. I can only assume that someone who got millions and millions of kids to start reading voraciously can not possibly be a moron. Her writing is competent, if a bit cliched to someone who has read the best of fantasy (Dunsany, Tolkien, Lewis, Beagle, White...) literature all of his life. She's smart, though, and no doubt, she has done great things for world literacy. Since I can't conclude that Rowling is stupid, I can only assume she is intentionally pretending not to understand the fan's tweet, which was a sincere statement that the reader doesn't see evidence in the stories to support Rowling's claim that Dumbledore is gay. She couldn't possibly have interpreted the word "see" to mean only visuals; that the writer is saying Dumbledore doesn't "look" gay. Instead, I have to conclude that Rowling saw an opportunity to endear herself to proponents of gay rights or to promote her beliefs regarding equality for gays -- or both. And it is not the promotion of equal rights for gays I have trouble with; it's the contortion of logic in the response, for the sake of promoting those rights in the 140 character world, that makes me angry. As evidenced here, there was no bad-blood between Rowling and her reader, but the reader has since taken her account down, probably due nasty responses from those who want to color her as intolerant for having asked an honest question. ....amazing answer. Yes, you are absolutely right. Such an inspiration!!! It was not an "amazing response." It was a weak response, even if it was a statement with a strong message. The problem is that we, as a society, are starting to be unable (or unwilling) to see the difference. Liking what someone said (and, as an isolated statement, I do like what Rowling said, very much; she's right!) doesn't make it brilliant in every context and it doesn't make it an okay way to respond to another human with a legitimate, literary-theory-supported question. No matter the happy outcome with her reader, I still think Rowling's response was illogical (in context), morally exhibitionistic and discourteous. Rowling's tweet—or, more specifically, the welcome it received—struck me as odd in an age of fan-fiction, mashups, and so on. Goodness knows no one waited for Gene Roddenberry's blessing to write Kirk/Spock romances, and fan culture today is about making a franchise your own, so it's unusual that fans treat Rowling's utterances like papal decrees. Maybe people just want so badly to believe that a world they love has a benevolent creator. I think there is a lack of balance, Jeff. In the tides of popular thought, one is allowed to cross all lines, except for the hot buttons. One is allowed, with impunity, to make Spock and Kirk lovers, but, if someone makes a statement that that's an urealistic interpretaton of their relationship, people cry homophobia. At least that is how I see it. Yeah, whatever's important Right Now is the priority, regardless of the principle we stood for yesterday or the principle we'll need to invoke tomorrow. Social media in particular has turned our cultural arguments into a coked-up game of Calvinball. Finally! Ready-Made Posts for Social Media Users! "From now on, sin no more."